FacilitiesBased in the heart of Nottingham, YMCA gym has lots of space to train, work, play and even host your community events! MembershipsWe offer a range of gym membership plans that will help you get the best out of joining our YMCA gym community. YMCA Running ClubNottinghamshire YMCA’s Running Club is free and open to everyone and our runners hold social runs and enter races all year round. CrossFit 1871CrossFit is a global community of athletes of all levels who perform at high intensity to reach and exceed personal fitness goals. YMCA OnsideOnSide is a community-centric programme featuring sports, skills, competitions and training opportunities for young people with disabilities. YMCA DigitalYMCA Digital is a community project designed to inspire, support and develop young people through creative arts and digital media. ChildcareWhether you need term-time or school holiday childcare Nottinghamshire YMCA’s childcare clubs are proud to serve families across the region. Adventure GuidesStrengthening bonds between parents and children through outdoor exploration, personal growth, fun and family bonding! Camp WilliamsNottinghamshire YMCA’s longest running school holiday camp programme. It is held every school holiday and we welcome day or week bookings. Outdoor & AdventureTaking groups of young people and individuals with disabilities into the great outdoors to enjoy fun activities while developing personal skills. Housing – NottinghamProviding housing support for homeless local people at the charity’s hostels in Nottingham city centre. Goole HousingProviding temporary supported accommodation for homeless young people in Goole, East Yorkshire. Housing – MansfieldProviding 24-hour support for homeless young people living in Mansfield and the surrounding areas. YMCA Property LetsWhether you’re considering letting a house or struggling to find tenants Nottinghamshire YMCA welcomes anyone who has a property to let. Building Better OpportunitiesA national programme by The Big Community Fund and European Social Fund to invest in local projects tackling the root causes of poverty. Children Residential CareSettled Care provision provides children who are not able to live with their own families with a chance to grow and thrive in a safe home. YMCA ICCOur International Community Centre provides various sized meeting rooms and spaces available for hire. YMCA Youth and Community CentreOur Aspley-based community centre aims to create a community for everyone in Nottingham and beyond. 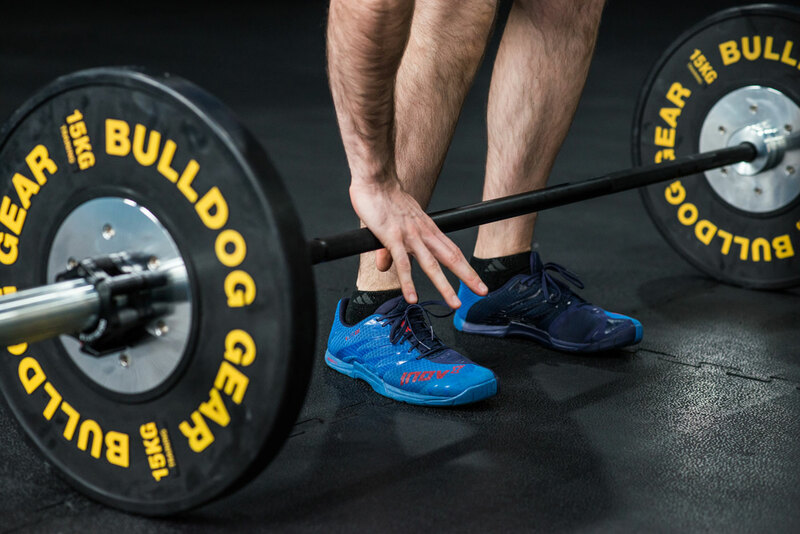 As a sport of commitment, CrossFit is a global community of affiliates and athletes of all levels and abilities who perform varied functional movements at high intensity to reach and exceed personal fitness goals. 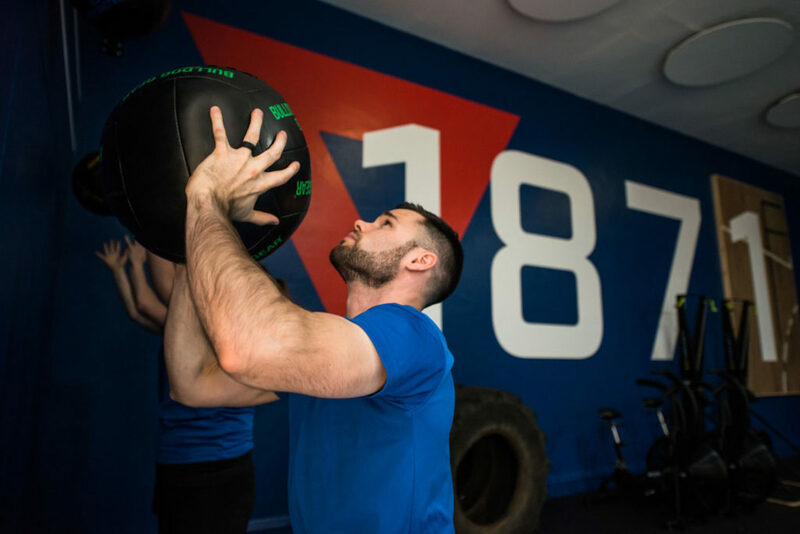 Named after the year Nottinghamshire YMCA was founded, CrossFit 1871 is the first affiliate in the UK run by YMCA Coaches at our charity’s gym in Nottingham city centre. 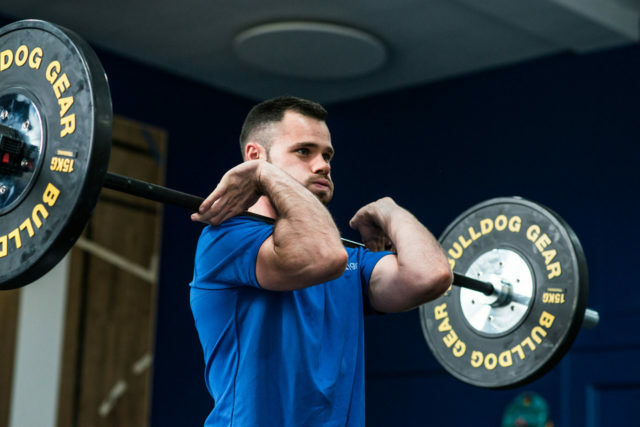 Our programme is planned by experienced coaches who have developed a highly effective training scheme with strength and conditioning at its heart. 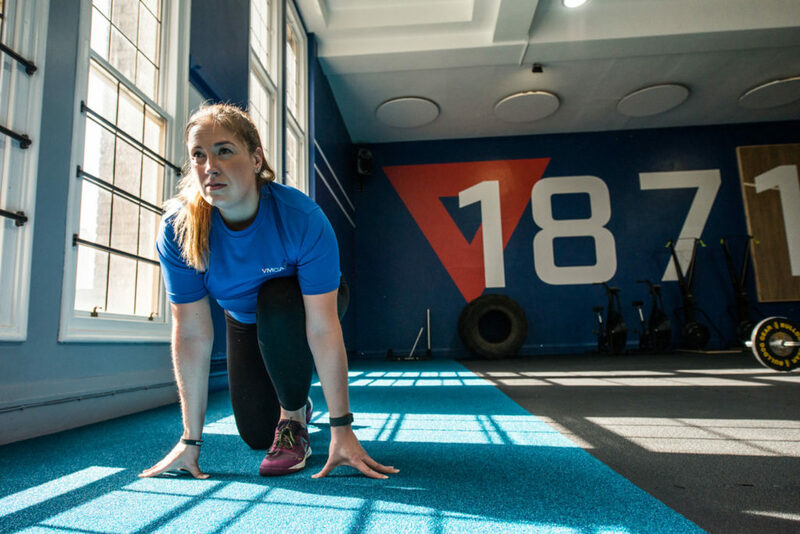 This membership package includes all the features of YMCA gym’s core membership, plus access to our CrossFit classes, our penthouse training ‘box’ and specialist personal trainers. 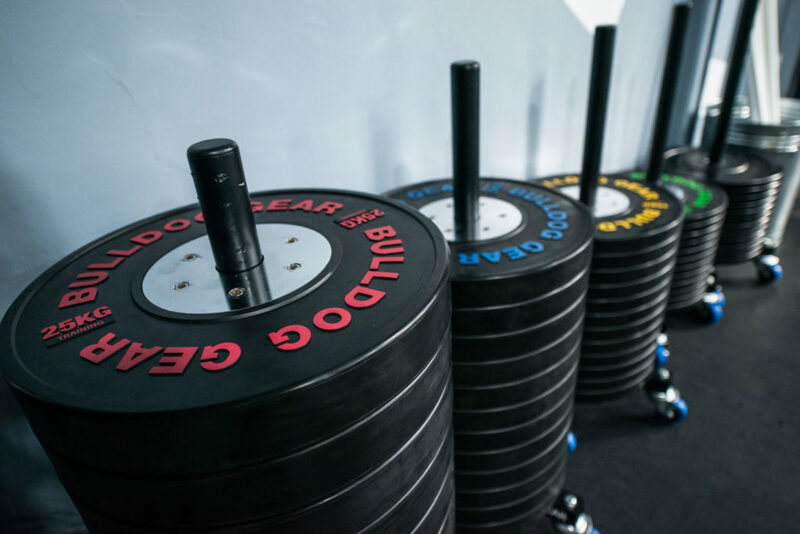 After completing an induction ‘Fundamentals course’, members of this package can enjoy working out using specialist equipment in the CrossFit ‘Open Gym’, and get stuck into our ‘Workout of the Day’ sessions. Book in for a taster today and try it out for free! CrossFit really is for everyone, regardless of your ability! Our aim is to be welcoming and effective for all, and it is usual for our fittest athletes to be working out with people new to the programme, members with chronic health problems or restricted mobility. 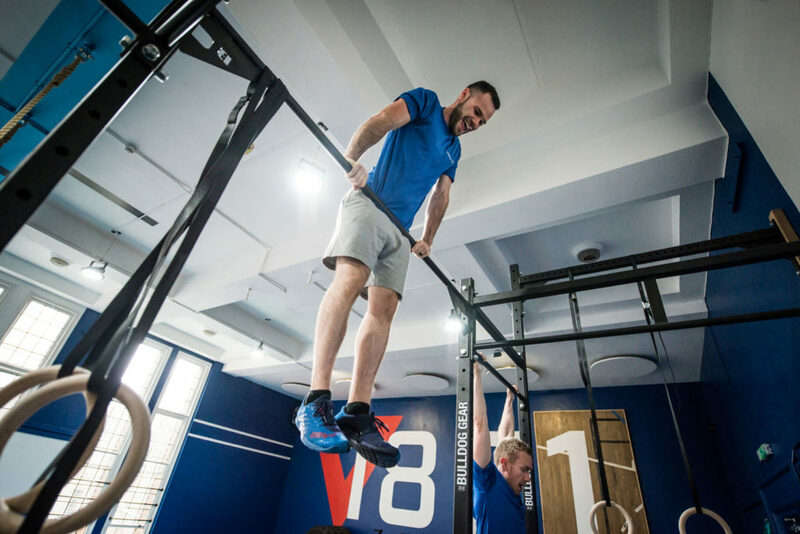 Each workout is different and planned ahead of your session to be scaled for any ability, regardless of whether your goal is to compete professionally or climb the stairs without needing to stop for a rest – no one gets left behind! Learn more about CrossFit movements, routines and goals in this great video. Remember to book your Fundamentals Course with our gym team before you get started! The focus of CrossFit 1871 is the ‘Workout of the Day’ (WODs). Each workout is designed to be challenging and you will be guided through the session by a specialist trainer who will provide support and explain points of performance. Open gym: When WOD classes are not in session, CrossFit 1871 members can use the ‘box’ spaces to workout at your own pace. This is a great chance to perfect technique, practice movements and work on weaknesses. Our WOD programme is planned over months and each workout is designed with a specific intention. Every week, our coaches deliver a structured combination of CrossFit activities which promote strength and conditioning. Coaches will guide you through correct form, approach and points of performance safely. You won’t just become fitter; you will learn technique, grow your potential and share all of this with a community that makes you feel right at home. Creating a supportive environment, we all stay on the floor until the last person finishes as we are all on the same team. Each workout is scaled to serve the requirements of members at every fitness level. Our community wouldn’t be what it is unless a professional athlete and a beginner can work out together and have a positive gym experience. Try before you buy! Taster sessions are delivered at 6pm every Monday. 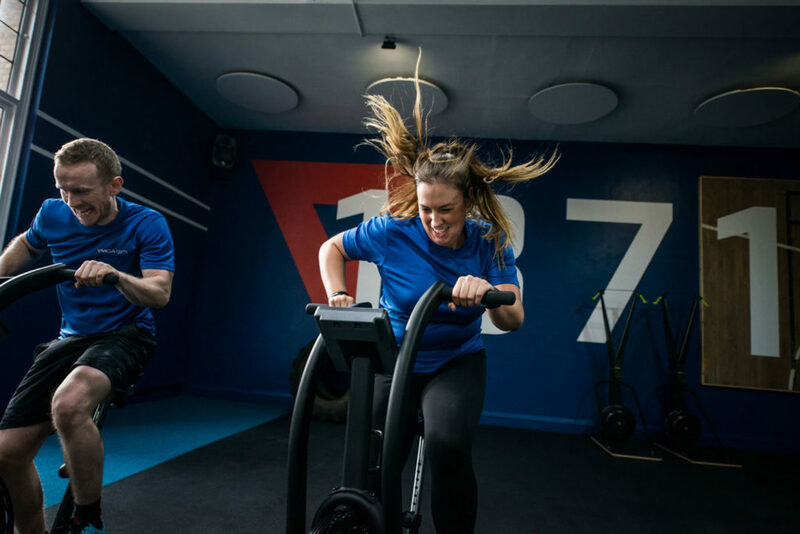 This free class gives you the chance to meet the YMCA coaches who will lead you through a typical CrossFit 1871 session. It’s a great way to find out what this membership is all about! Members of other CrossFit gyms are very welcome to pay a one-off ‘drop in’ fee to use our CrossFit 1871 box and facilities (excluding WODs) at £10 per session. Please email gym@nottsymca.org or pop by our YMCA gym reception. All new CrossFit 1871 members must complete an induction Fundamentals Course before using our facilities to ensure safe use of the equipment. The course is free for Crossfit 1871 members. Non-members are welcome to pay and complete the fundamentals course with no obligation to join afterwards – please contact our reception team and someone will arrange this with you. The fundamentals course is spread across four one-hour sessions that must be completed within 30 days of becoming a CrossFit 1871 member. Sessions will be arranged through a coach directly once signed up. 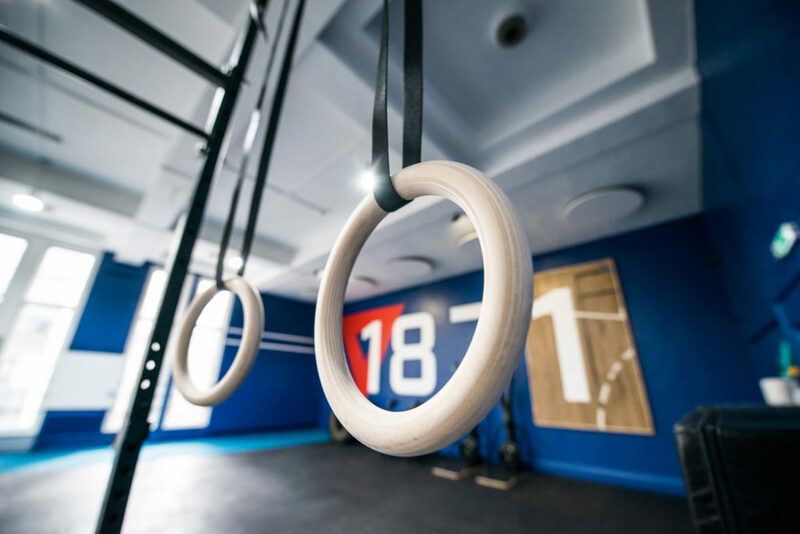 On completion of the fundamentals course, members will be able to train in the ‘open gym’ spaces or any of the coached ‘Workout of the Day’ (WOD) programmes, which are sessions created and delivered by our trained coaches. The course will guide you through movements and skills you are likely to encounter during CrossFit 1871 sessions. You will find out how to get the most out of each workout, with drills in weightlifting, gymnastic and plyometric movements. There will be plenty of time to ask questions and we will show you scales, progressions and movement standards, and will introduce you to our community ethos – no one gets left behind. Do I have to do an induction? Crossfit 1871 members need to complete the 1871 fundamentals before you start. Book at reception and one of the team will help you to get the best from your membership, show you where everything is and make sure you’re working out safely. 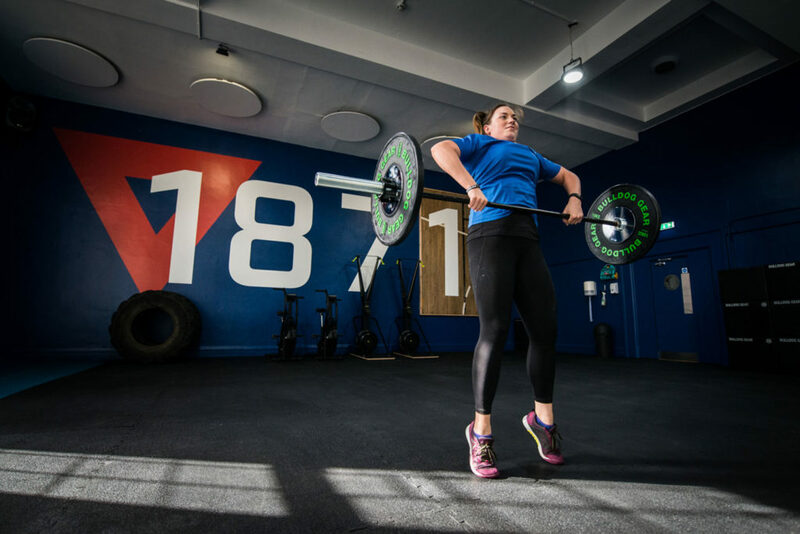 Crossfit 1871 spaces and membership are not accessible with a guest pass but anyone can book onto a taster to try out an 1871 workout. Non-members can also pay a drop-in fee; for which they don’t need to be accompanied by a member. Do I have to be really fit to participate in Crossfit 1871 sessions? No! Every workout can be scaled to any ability regardless of whether your goal is to compete, or climb the stairs without stopping for a rest – no one gets left behind. Can I work-out in the Crossfit studio with a core membership? 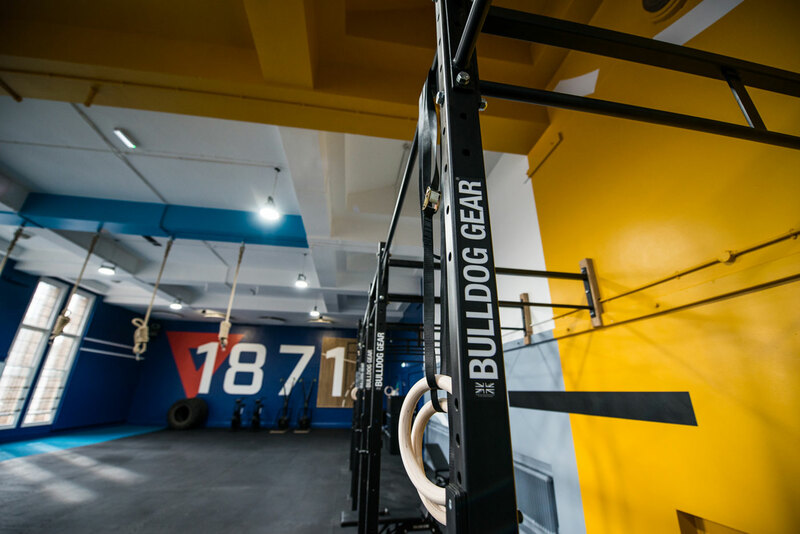 Non-Crossfit members will need to pay a drop-in fee at the daily rate of £10 to train in the 1871 studio. 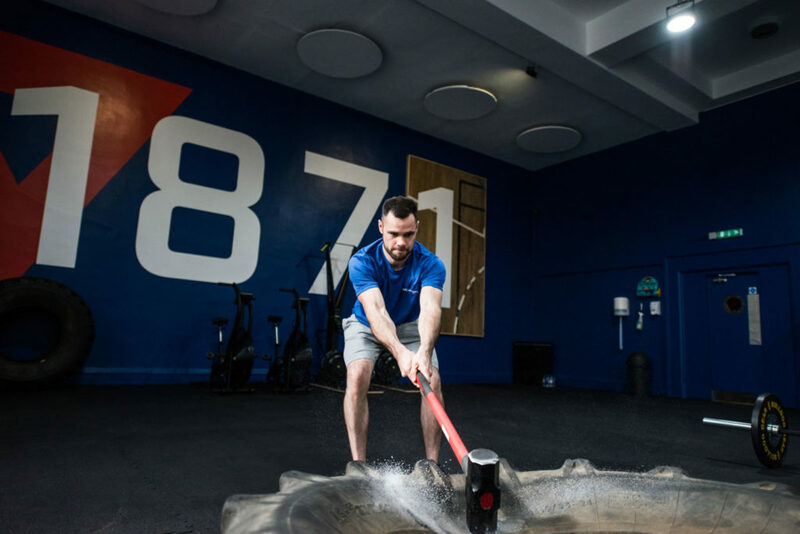 You will need to have completed a CrossFit fundamentals course before using the 1871 space. We also run taster sessions on our 1871 membership so you can try it out for free! What happens if I miss a direct debit payment? Our direct debits are processed by Harlands. If you miss a payment or think you will be unable to pay, you can contact them on 0871 250 2423. Harlands may charge you a missed payment fee. I’m already a member at another CrossFit affiliate. Do I have to complete the 1871 fundamentals course? Not necessarily. Let the team know before your first session and they’ll go through some basics with you to determine whether they’re happy for you to get straight on with training. You will still have to have a YMCA gym induction which will take around 20mins.